Each year, approximately 10,000 children in the United States are born with some level of permanent hearing loss, most of them to parents who can hear. In many cases, parents are not aware that with early identification, proper amplification, and unique oral deaf education methods, even the most profoundly deaf children can develop listening and spoken language skills without the need for sign language. A recent July study published in the journal, Pediatrics, highlighted spoken language and literacy outcomes in children with permanent hearing loss who were exposed to sign language for three years or more versus children who were not exposed to sign language. The study found that 70-percent of children without sign language exposure achieved age-appropriate spoken language skills, compared with 39-percent of those exposed to sign language for three or more years. Literacy skills of children who were not exposed to sign language were significantly higher than children who remained in a long-term sign language group. 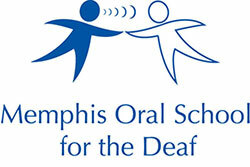 Children who are deaf and hard-of-hearing can learn to listen and talk. Hear the hope.